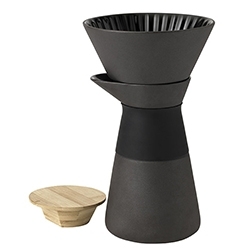 Tempting Theo Slow Drip Coffee Maker by Stelton - stunning in matte black stoneware with a shiny glaze with bamboo lid and a collar of heat insulating silicone. 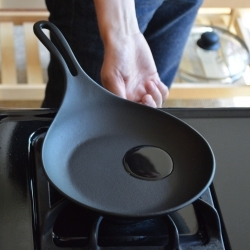 Designed by Francis Cayouette. Areaware Solitaire Cards by Susan Kare (of old school mac icons and windows 3.0 solitaire too!) in all their pixelated glory. 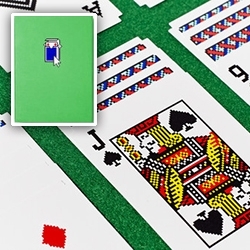 Solitaire goes from physical to digital to physical! 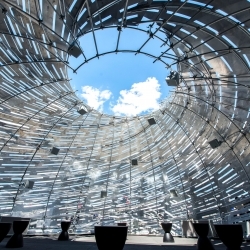 NASA's Orbit Pavilion sculpture, on display at the Intrepid Air, Sea and Space Museum in New York, creates a visual impression of swirling motion to accompany the movement and sounds of space satellites. 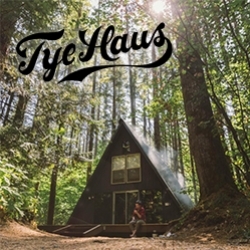 Tye Haus - A-frame cabin/ski-chalet for rent at Steven's Pass, WA. 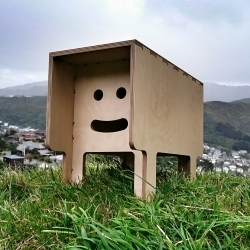 PushmiPullyu is a small table named after the two-headed Doctor Doolittle character who couldn't decide which way to go. He has different faces either end and perfect for a child or adult. SURIA Luminary is inspired by mandalas. 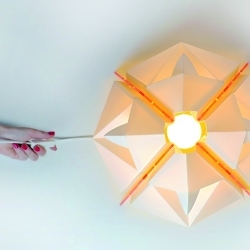 It has been designed, taking into account the folding concept, based on the use of paper engineering techniques. Designed by Agustina Ruiz. 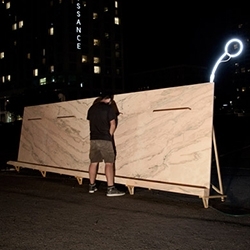 Bureau A's Portuguese Pink Marble Urinal in an open air Zurich car park... which of course dilutes liquids and channels them to a pothole filled with gravel and plants... and has a neon sign so you can find it. 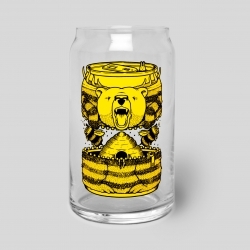 Upper Playground releases the Bumble Beer Glass Can with Art by Jeremy Fish. 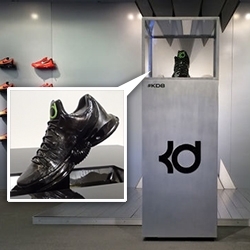 Nike Kevin Durant Ferrofluid Shoe Display by Guild brings together 3D printing, ferrofluid, magnets, and motors to bring it all to life. Fun idea - crazy loud motors in the video! 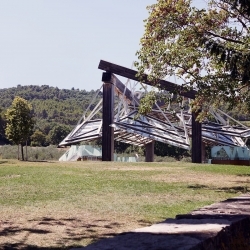 Chateau La Coste, a winemaker with Art and Architecture installations designed by Jean Nouvel, Tadao Ando, Frank O.Gehry. 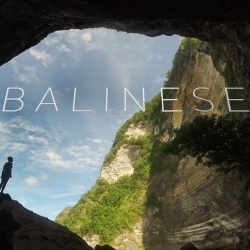 VIDEOSix chapters about the people of Bali by Brandon Li. A cultural journey filmed over a month of living on the island. 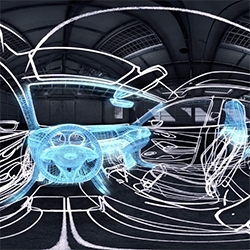 FEATUREDInfiniti's "From Pencil to Metal" uses YouTube's 360 video play back to bring you right into the design of QX30 concept car - from sketch lines to digital modeling to clay to reality! 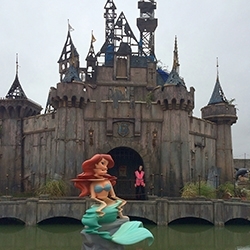 Banksy's Dismaland opens tomorrow in the UK and The Colossal has a peek inside for you! "A demented assortment of bizarre and macabre artworks from no less than 50 artists from around the world... 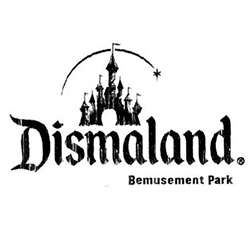 In addition, Banksy is showing 10 artworks of his own." 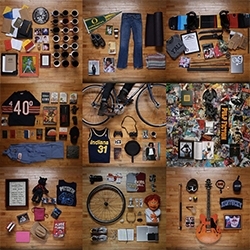 The ABOUT page at Cornett in Lexington, KY - love the gear filled flat lay pics for each member of their team. 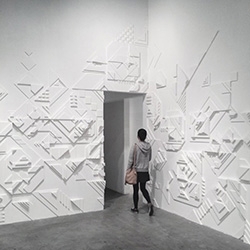 Matt W. Moore new solo-exhibition 'SHADOVVS' at 886 Geary Gallery in San Francisco. 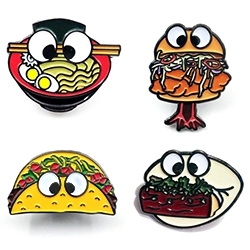 Hungry Eyes NY has ramen, taco, bao, fried chicken sandwich, burger, and donut pins/stickers with googly eyes. 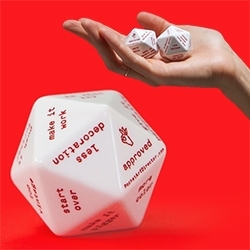 Fuzzco Pocket Art Director Dice! "A custom 20-sided die, made mostly in America from fine European plastics. Each face offers concise, constructive art direction when you need it most." 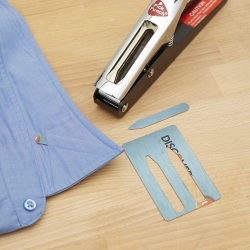 The Collar Stay Punch lets you turn old credit cards, gift cards, and other pieces of plastic into collar stays. 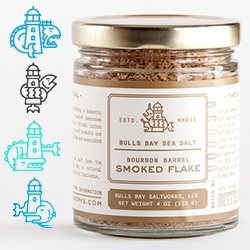 FEATUREDBulls Bay Saltworks - great sea monster/lighthouse icons for the branding of this sustainable, small batch, South Carolina sea salt company by inspiring couple, Rustin and Teresa Gooden. They even have margarita salt. 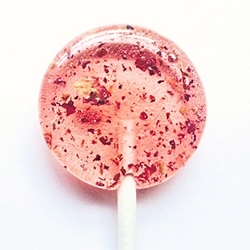 Leccare Lollipops are so pretty and have so many surprising flavors - from peach cobbler to rose & marshmallow, pumpkin spice and far more. 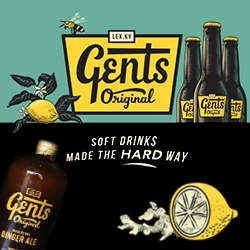 Gent's Gingerale "soft drinks made the hard way" - from Lexington, Kentucky - great branding! Check out the instagram to see more. 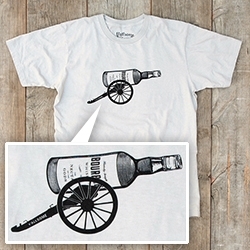 Y'allsome 'The Cannon' shirts help you "fight the bad times with bourbon" - cute graphic. 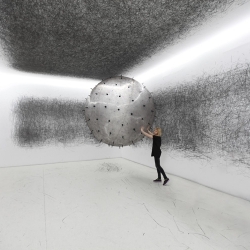 As part of a current exhibition held at The Lowry, UK, Berlin-based Polish artist Karina Smigla-Bobinski exhibits ADA, a giant ‪interactive‬ analogue ‪‎installation‬. Seersucker Candy Co from Nashville's Olive & Sinclair. 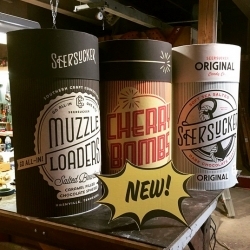 Seersuckers (soft sea salted dark choc ganache), Muzzle Loaders (salted bourbon caramel filled choc spheres) + Cherry Bombs (pickled cherry cordials) in old phonograph cylinder style packaging. 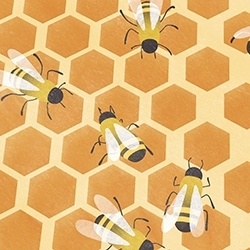 Project B, from the beehive to the plate by Marc-André Roberge is a modern hive for restaurants and urban shops. 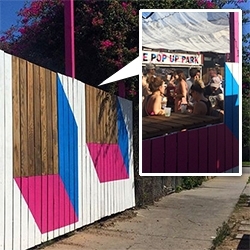 FEATUREDThe 72U Venice Pop Up Park! When is a fence not just a fence, and a mural not just a mural? 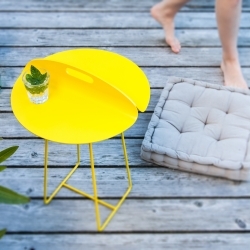 When they transform into TABLES that open into the park! NOTCOT helped 72U bring this park to life - see the making of and launch party! 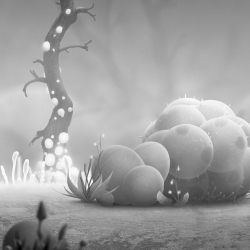 VIDEOCharming animated advertising spot for British bakery company The Fabulous Bakers telling the stories of pineapples, cranberries and bees. To recruit runners for The North Face 100 Ultra Marathon, Fred & Farid Shanghai created The Warm-Up Cup, and gave it to finishers of a competitors's marathon. The message? Great Warm-Up. 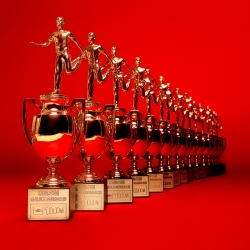 Now sign up for a real race. 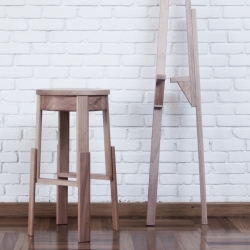 R35 collection of minimal side tables by Vienna based studio bonpart. Frozen Gun Games beautiful new puzzler "Freeze! 2 - Brothers" coming September 24. 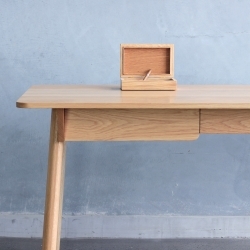 Géraldine Biard, a young french designer created a medical collection of furniture called Jardin d'hiver. 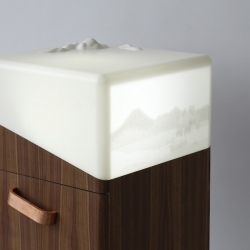 Every piece is integrating aromatherapy and light therapy to alleviate sleep disturbances and anxiety, and engages the user’s sight, smell and tactile senses. 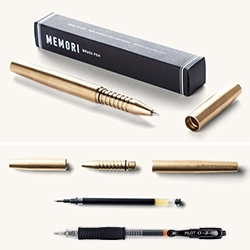 Tanner Goods Memori Brass Pen. 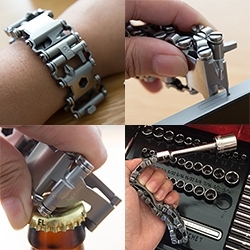 Locally machined in Oregon from solid, pure brass. I'm far too excited that this fits my favorite Pilot G-2 05 cartridges perfectly! 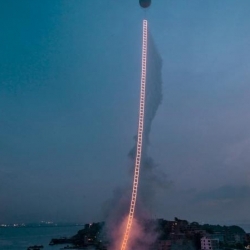 Chinese artist Cai Guo-Qiang, known for his use of gun powder to create art, recently used a whole lot of it pay tribute to his grandmother’s 100th birthday with a stunning art piece, “Sky Ladder”. 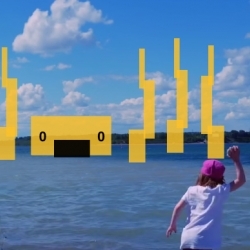 VIDEOClever ads for Quickdraw Animation use YouTube annotations to show the power of imagination. 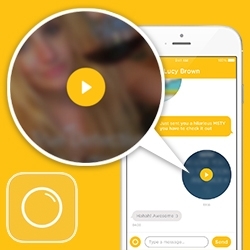 MSTY (My Song To You) - Mobile music messaging app that just launched. Send friends a song + picture + caption! Love how the messages look like little records. 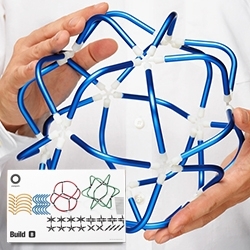 Shhhowercap - Showercaps don’t have to be crinkly gross plastic. They should be beautiful and a pleasure to wear! 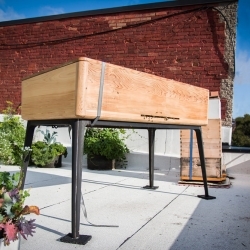 TiiPii Bed can be hung indoors or out, under the patio, down the beach, in the garden or from your favorite shady tree. Capable of supporting 170kg, adults will love this as much as the kids. 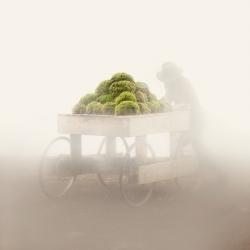 Photographer Troy Moth imagines a future where markets sell moss and other remains from a once lush natural world. 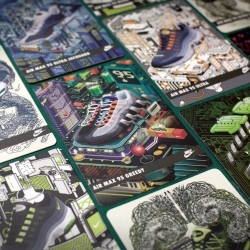 The highly sought after Nike Air Max 95 sneakers just became more collectable on it's 20th anniversary with these exclusive collectable cards, beautifully illustrated by local artists in Hong Kong. 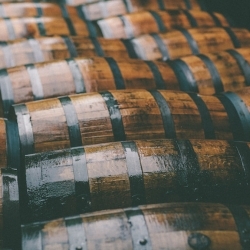 NEAT The new bourbon documentary that looks as good as bourbon tastes. Fairytale photography, by Australian photographers, The Descendants. 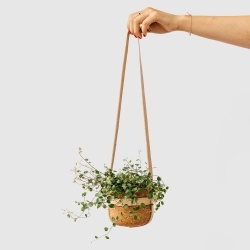 Melanie Abrantes Designs Winter Collection introduces new products and a new material- leather- to the designer’s line of home goods focused on showcasing the natural beauty and unique qualities of hand-turned cork and wood.